New Day Personal Care Services gives families and caregivers hope and help as they face health challenges in their lives. We make sure that the talents we have do not only possess the skills needed for the job but also has the right values and intentions on why they have decided to join us. Do you have recommendations for us? Send more details to New Day Personal Care Services. You can use our online form for convenience. At New Day Personal Care Services, we accept payments through private pay, most insurances and through waiver programs. We hope that our site will lead you to answers and solutions that you have been looking for. 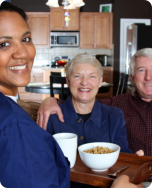 Here, you will find rich information on home care services, waiver benefits, articles, and insights on how to provide the best non-medical attention to your loved ones at home. and give support to families who would want to provide the best for their patients. 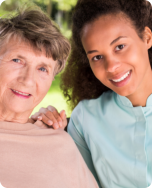 New Day Personal Care Services offers non-medical home care for seniors and those who have been incapacitated due to stroke, accident, disease, or developmental disability. We strive to give you as much information as you can get through this site, especially our Services page. You will find that our offers are very beneficial both the patient and his immediate family members. So we hope that you will take the time to browse our pages and discover how we can give the right non-medical solutions to your varying home care needs. Should you feel the need to talk to us personally over the phone, you may call us anytime at 337-264-7128 to raise your queries or to schedule an assessment with our representative. We design a customized care plan that is precisely what you are looking for.